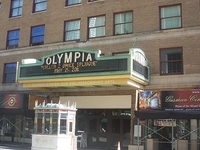 Travelers are voting Olympia Theater at the Gusman Center for Performing Arts and Broward Center For The Performing Arts as the best theaters in Miami. There are 1 theater in Doral a city just 30 km from Miami and 1 theater in Davenport which is 399 km distant. The most popular of these are Broward Center For The Performing Arts in Doral and Hotel Mississippi-RKO Orpheum Theater in Davenport. You can find 9 theaters in Florida and 483 theaters in the country of United States. Our members favorite in Florida is Theatre Jacksonville and Hult Center For The Performing Arts is the top pick in United States. Want more? Check out our map of theaters in Miami.